MLB RENTAL, car rental agency, 4x4 and minibus with or without driver in Marrakech offers a wide range of passenger vehicles or off-road for your stay in Morocco. Our rentals are free mileage, insurance and all-risk 24h / 24h understood. Rent a car Marrakech MLB also offers franchise buyback option to avoid leaving a deposit. A multilingual drivers is offered as an option. 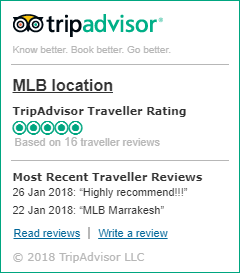 MLB RENTAL is not limited to rent you a vehicle but you suggested the best picks for an authentic discovery of Morocco privileging, during your tour in southern Morocco, a hosting with the habitant allowing you to be closer culture and Moroccan cuisine. Recovery of deliveries and vehicles are free to Marrakech Airport and within 20 km. MLB rental car in Marrakech offers free airport transfers from / to the airport of Marrakech. MLB RENTAL is a car rental agency that offers a wide selection of vehicles, ranging from economy size, 4x4 as well as luxury vehicles. MLB RENTAL offers a range of vehicles at very competitive prices to suit all needs. You can modify your reservation or cancel without incurring any fees. Book your vehicle through our agency and get all these benefits at low prices.